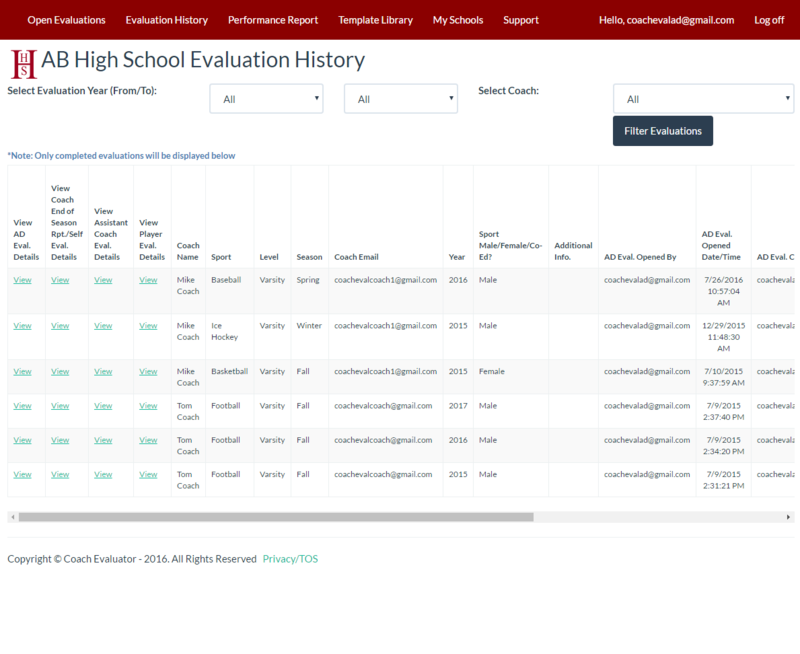 Coach Evaluator provides an end to end digital approval process so all evaluations are signed off by the athletic director/organization leaders and the coaches (eliminating the need for physical signatures). Also provided is a real-time notification system to e-mail users exactly what step the evaluation process is in. 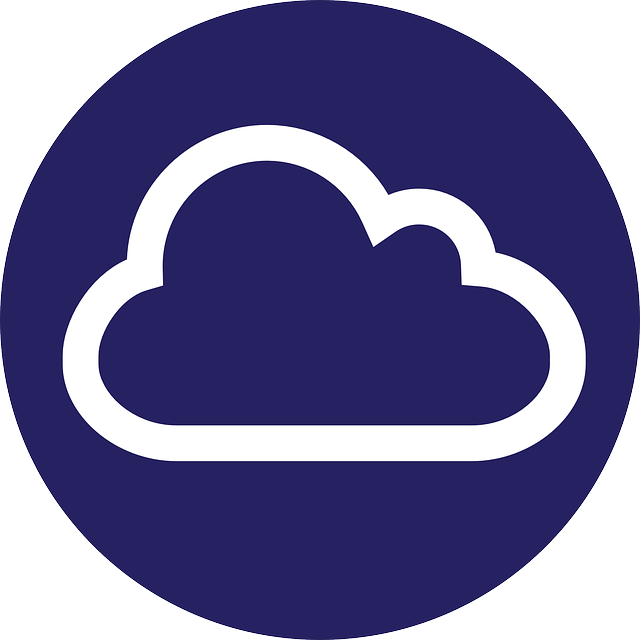 The evaluation data and approvals can be tracked over time since all historical data is saved within the system. 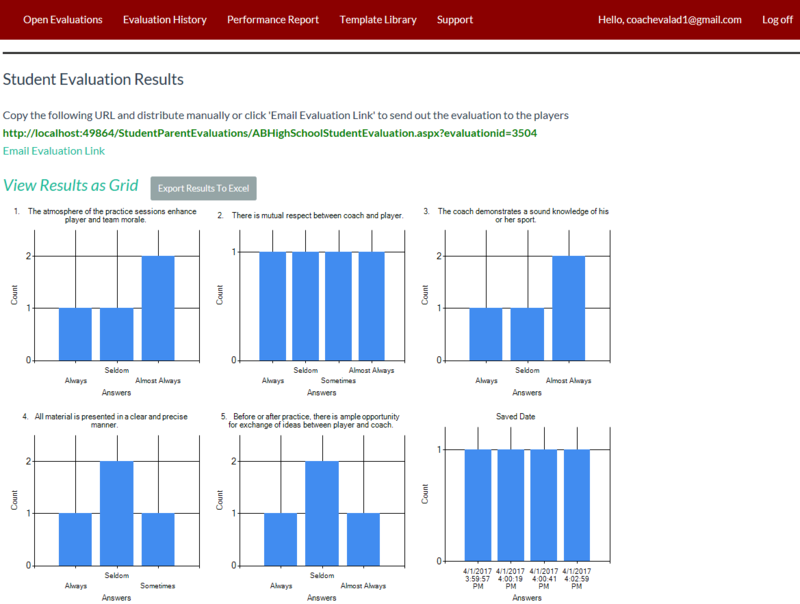 You can filter and drill into this information to see past evaluation data as well as performance reports. 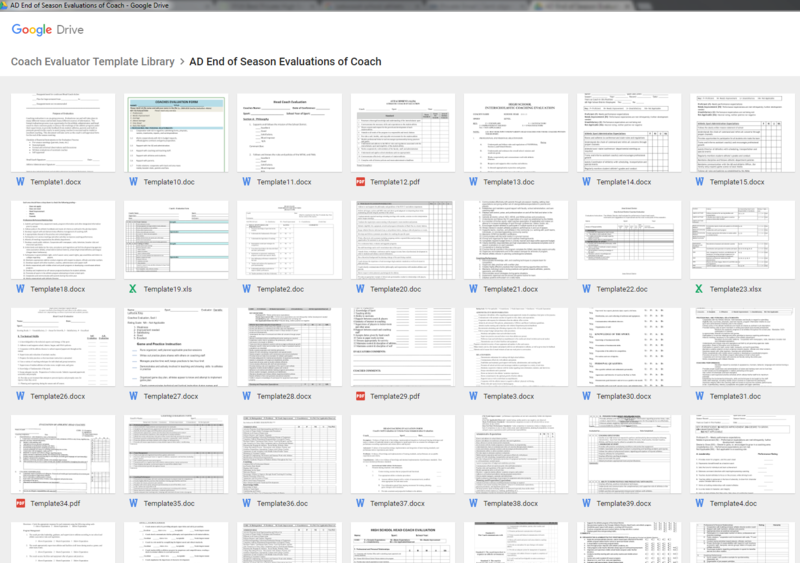 In addition to tracking each coach evaluation, external documents/files (ex. inventory sheets, rosters, certifications, team photos, etc.) 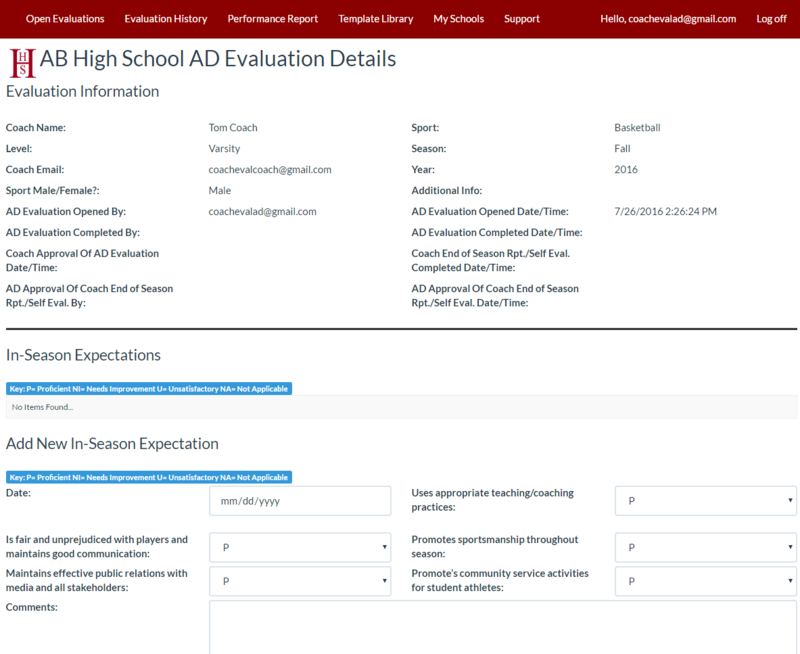 that are associated for each coach/season can be uploaded to the system. 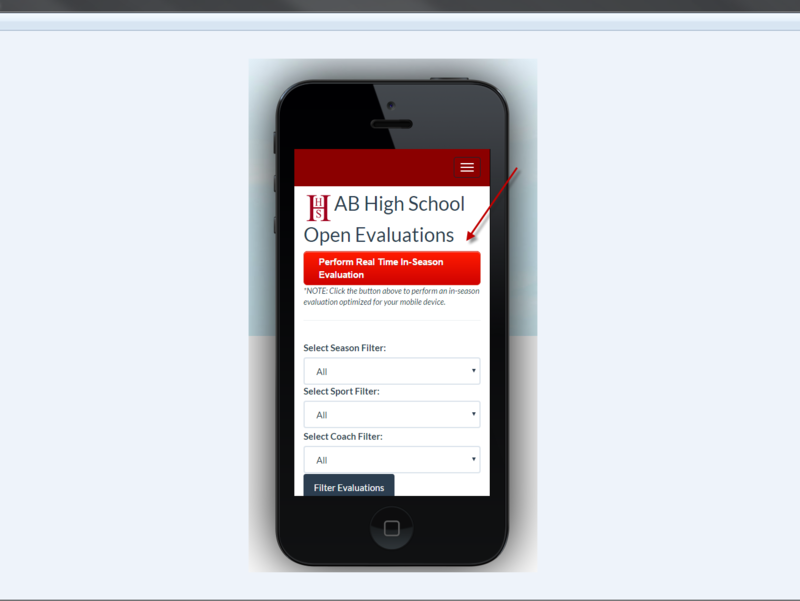 Coach Evaluator is a web based application that can be accessed from anywhere that an internet connection is available. This provides the flexibility to perform your evaluations in the office, on the field, or even at home. 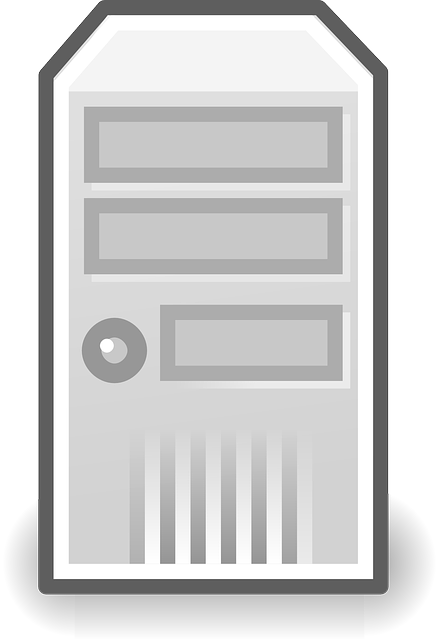 We use a secure SSL connection so all of your organization evaluation and user information is 100% encrypted. 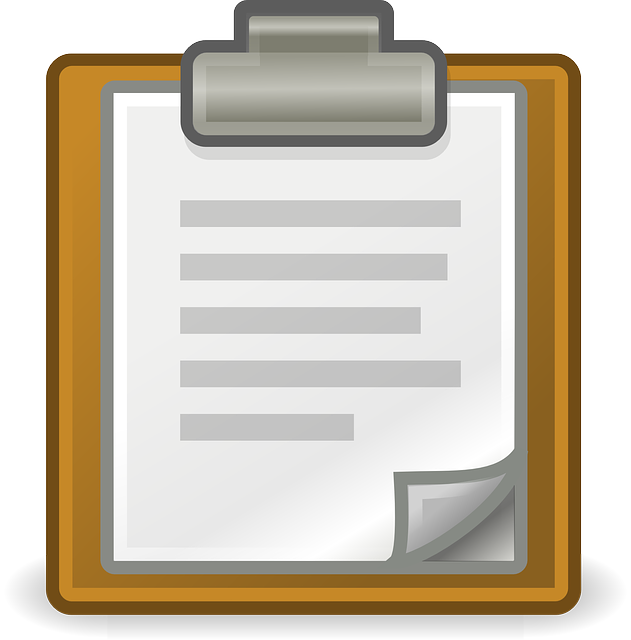 To view a list of all of Coach Evaluator's partnerships check out our blog. 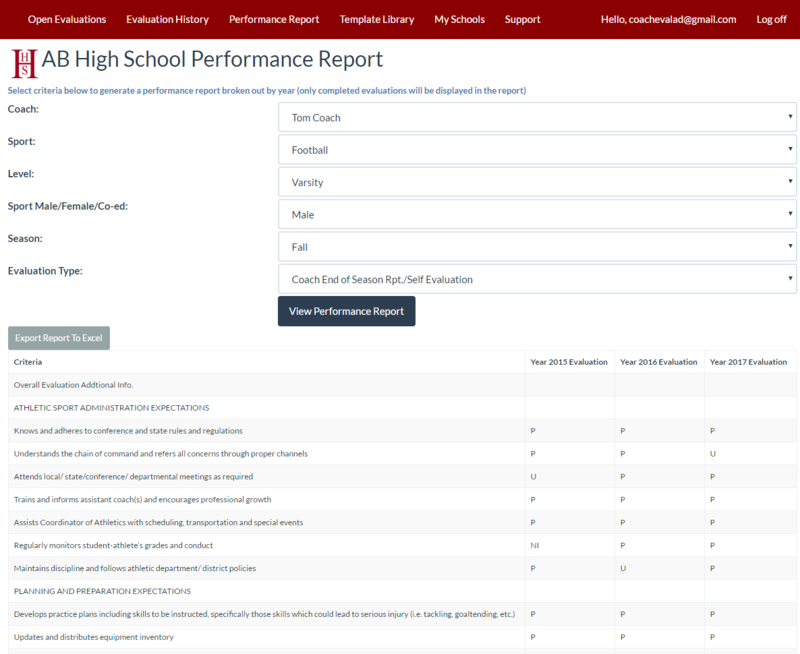 Coach Evaluator is a trusted resource and the official coach evaluation partner of Positive Coaching Alliance. 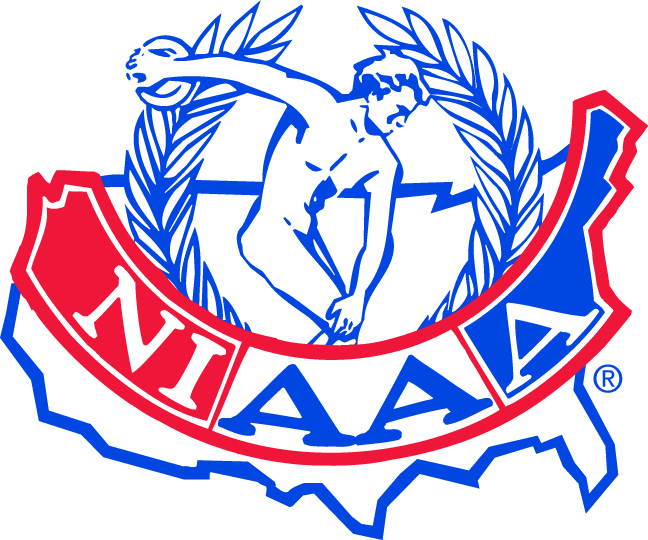 PCA has partnered with roughly 3,500 schools and youth sports organizations nationwide to deliver live group workshops, online courses, and books by PCA Founder Jim Thompson that help those involved in youth and high school sports create a positive, character-building youth sports culture. 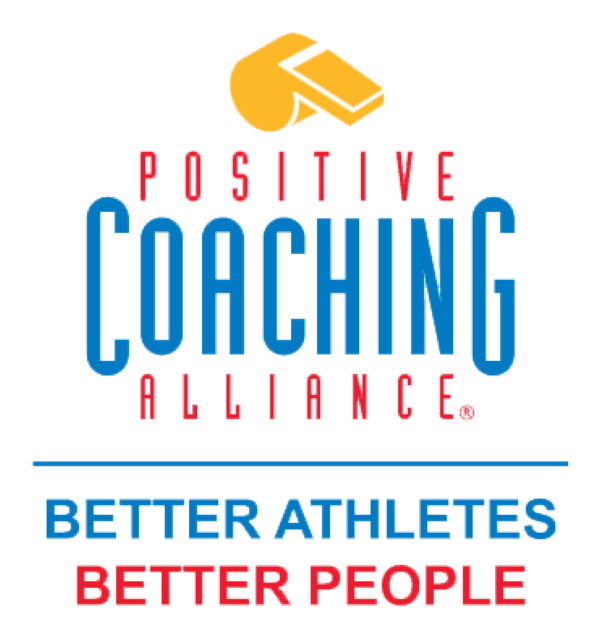 Check out the benefits and resources PCA provides in association with Coach Evaluator as their official coach evaluation partner. You can learn more about Positive Coaching Alliance here. Would you like to learn more? 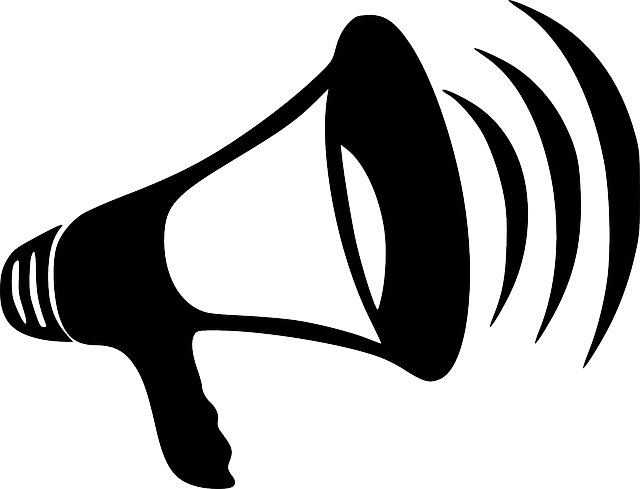 You can request a live webinar demo, pricing information, or general information on our contact page and we will follow up with you ASAP! 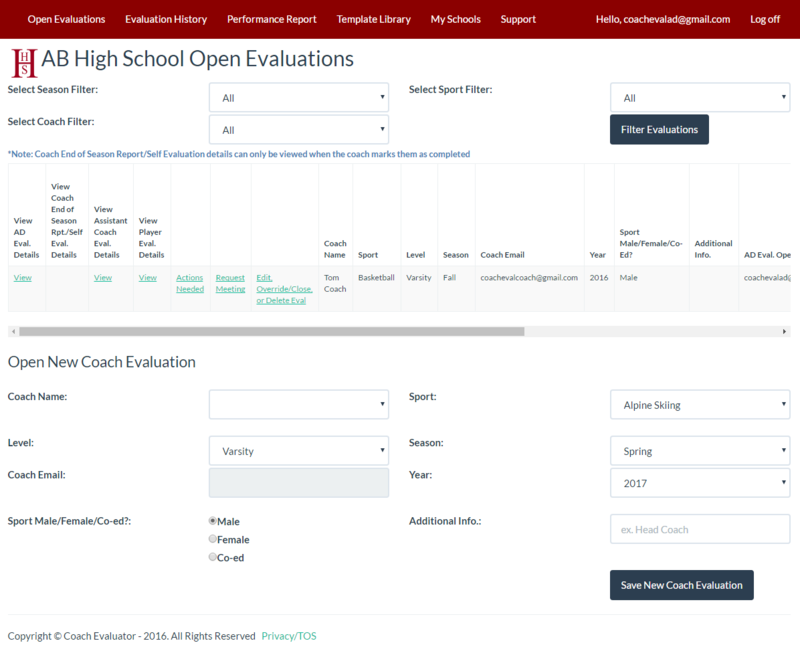 You can also reach us via email at admin@coachevaluator.com.